it’s been raining plenty here in the bay area, and i’m kind of excited for it to end. commuting in the rain is not pleasant, and you’d think i’d finally learn to bring an umbrella with me, right? rainy days do call for more indoor days- days to relax, unwind, and take care of myself. aka netflix, reading, puzzles, and baking. it’s almost the same with writing these posts; i’ve made so many drafts for these muffins that i’m going to just give you the recipe below. 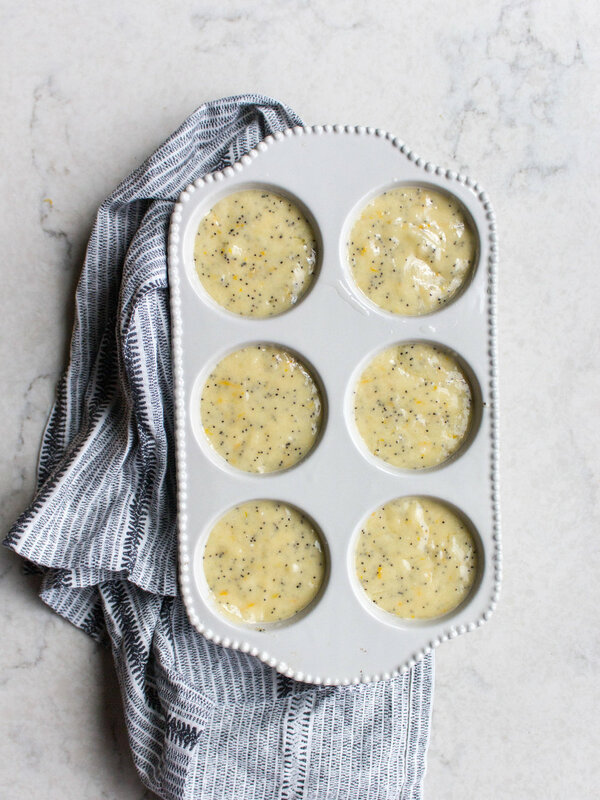 these lemon poppyseed muffins scream spring, yadda yadda yadda because so many things scream spring, But really, they’re quite tasty and bake into delicious little tea cakes and muffins. 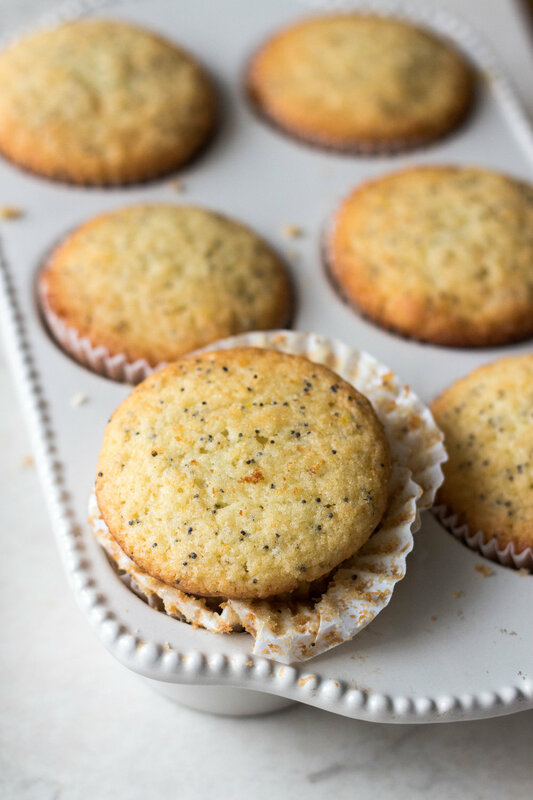 They’re moist and fluffy, with a subtle blend of lemon and olive oil flavors and a slight crunch from the poppy seeds. 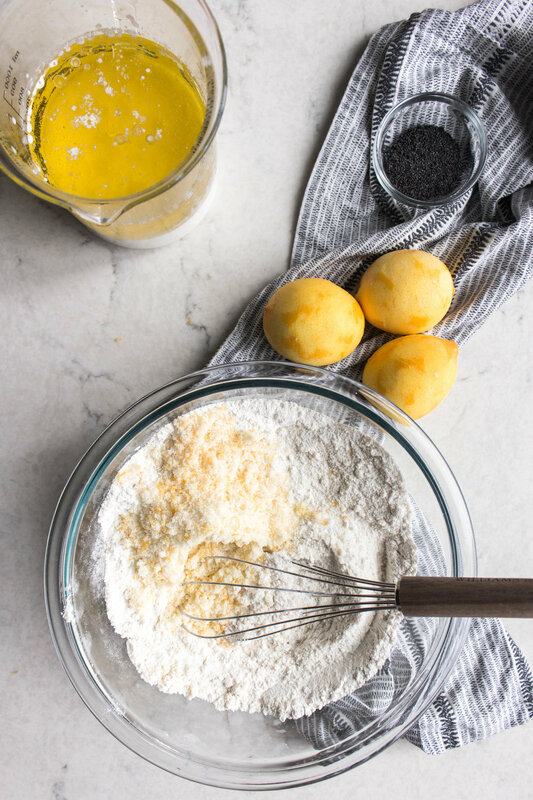 wedding season is coming up, easter and mother’s day are around the corner, and it’s spring, so make these muffins for your brunch and bridal shower tables! baker’s notes: the first time i made these i completely forgot to put in the olive oil (lolol, oops), but the muffins turned out surprisingly okay!! with that said, add in the oil because there’s a reason why you need it. i used olive oil but i’m sure a blend of oils or vegetable oils would also work. it may alter the flavor a bit but they should still be delicious!! oh, i also mixed the sugar and zest separately to hopefully extract more lemon flavor for the muffins. directions for that are below! preheat the oven to 350 f. grease a muffin tin or line with paper liners. in a small bowl, mix together 1 cup of the sugar and the lemon zest. rub the zest and the sugar until the oils from the zest start to come out and coat the sugar. set aside. 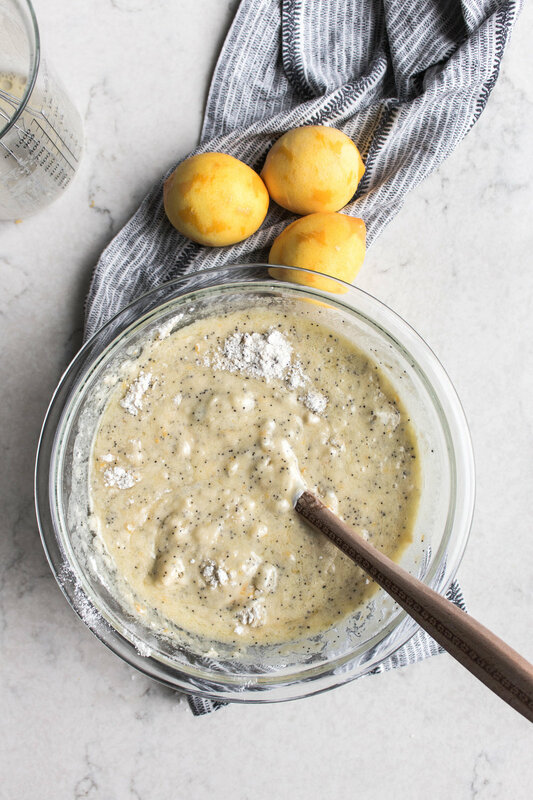 in a large bowl, whisk together the remaining 1/2 cup sugar, almond flour, salt, baking soda, baking powder, and poppy seeds. stir in the lemon zest and sugar mixture. 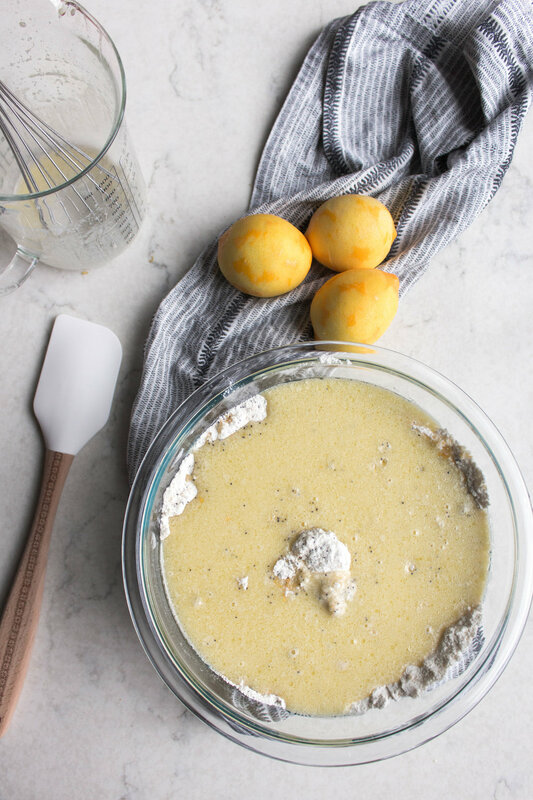 in a medium bowl, whisk together the wet ingredient- the eggs, olive oil, lemon juice, milk, and almond extract. pour the wet ingredients into the try, and fold to combine. fill the the muffin tin 3/4-full and bake the muffins for about 25-30 minutes, or until the edges are golden brown (yum, crispy edges!) and a toothpick inserted into the center comes out clean. serve warm, or let cool completely and dust with powdered sugar to serve.